Dedicated to the memory of Professor E. A. Leontovich-Andronova, this book was composed by former students and colleagues who wished to mark her contributions to the theory of dynamical systems. 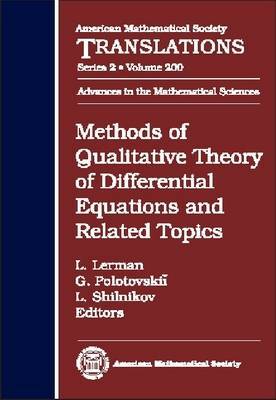 A detailed introduction by Leontovich-Andronova's close colleague, L. Shilnikov, presents biographical data and describes her main contribution to the theory of bifurcations and dynamical systems.The main part of the volume is composed of research papers presenting the interests of Leontovich-Andronova, her students and her colleagues. Included are articles on traveling waves in coupled circle maps, bifurcations near a homoclinic orbit, polynomial quadratic systems on the plane, foliations on surfaces, homoclinic bifurcations in concrete systems, topology of plane controllability regions, separatrix cycle with two saddle-foci, dynamics of 4-dimensional symplectic maps, torus maps from strong resonances, structure of 3 degree-of-freedom integrable Hamiltonian systems, splitting separatrices in complex differential equations, Shilnikov's bifurcation for $C^1$-smooth systems and 'blue sky catastrophe' for periodic orbits.